Coval's vision as vacuum managers is to be the world's leading solution provider in vacuum automation technology. And through innovative company culture, service excellence and knowledge sharing be a driving force in the business performance of our clients worldwide. Being a vacuum manager means going beyond the limits of a traditional component supplier. Coval suction cups adapt to all types of applications in branches of industry such as packaging, plastics, food, sheet metal etc. These suction cups meet a wide range of technical specifications thanks to a diverse choice of shapes, diameters and materials. 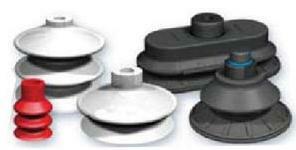 COVAL offers a full range of fittings adapted to the suction cups, compatible for all types of applications. 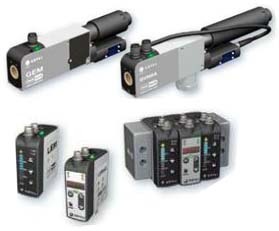 COVAL offers diverse vacuum generators with or without silencers. The micro/mini ejectors are particularly well suited for robotics and multiple or random gripping applications. In-line ejectors can be mounted directly on the suction cup which simplifies wiring and installation. The modular vacuum pumps provide noise reduction, low energy consumption and increased life expectancy. Simplicity of installation, modularity, light weight and clog free performance. 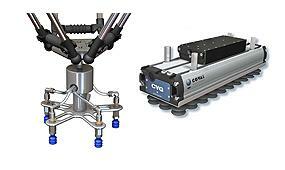 With the CVG series, COVAL introduces the universal solution of the vacuum gripper, flexible, simple and economic. The handling of objects with different sizes, shapes and weights is not a complex, expensive and laborious task anymore. With a single CVG module, easily integrated into the process, the user can make random gripping of different parts in a simple and secure way. R.R.Floody Company is a Coval distributor in Northern Illinois, Iowa and Southern Wisconsin. We offer technical support to help our customers solve their applications.